Move over Old Spice, Axe, and other guy-focused products. 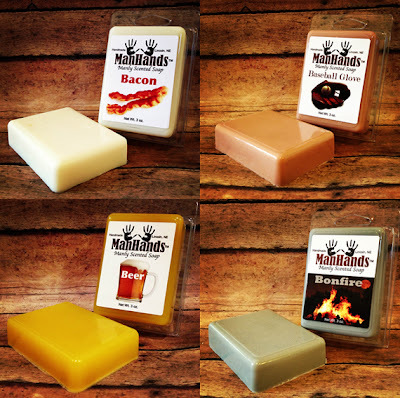 Manhands Soap is here. 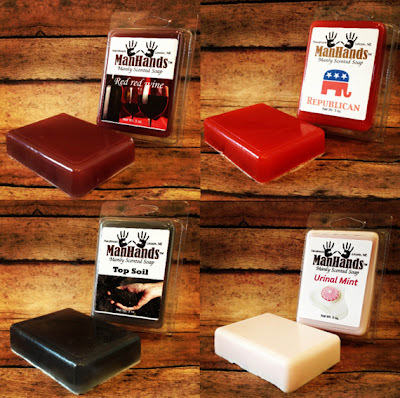 Soaps made to actually smell like a real man, in scents like bonfire, beer, and top soil, not coconut-pheremone-infused silky body washes. MMMmmmmm...smell the manliness.